This photo was taken few minutes ago, after the screening of 8.02 "Every Silver Lining" of Dexter. 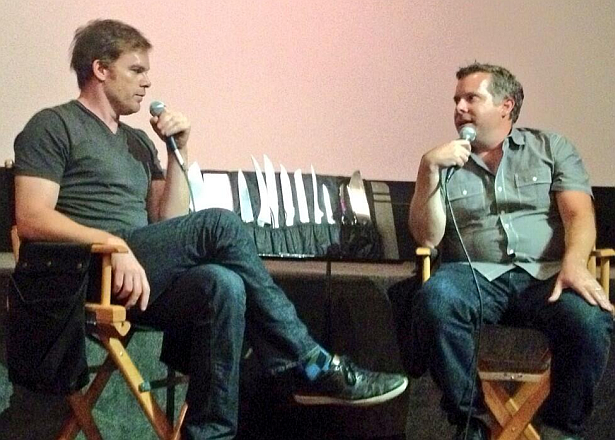 Michael C. Hall and Scott Reynolds are recording right now the Wrap-Up podcast live in front of fans. It will be released later this week.